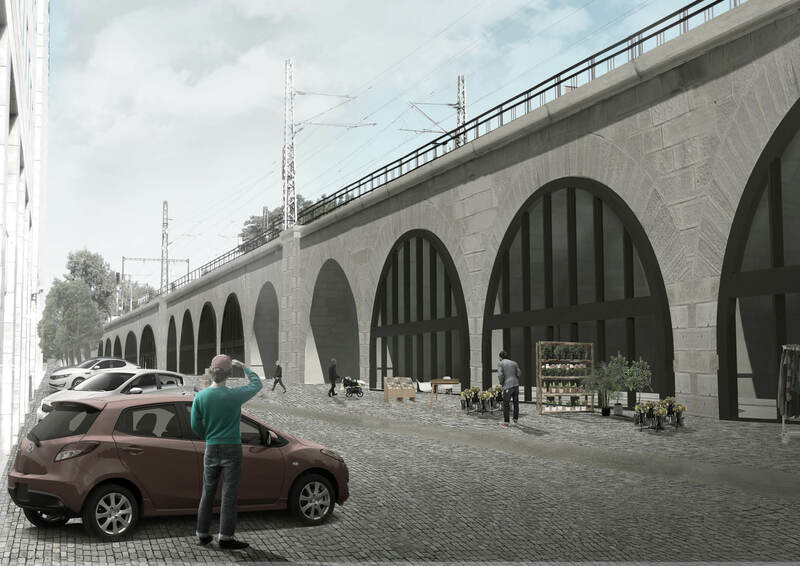 Negrelli Viaduct – Opportunity for Creative City is another project of CCEA experimenting on the fields of architecture, art and public interest. 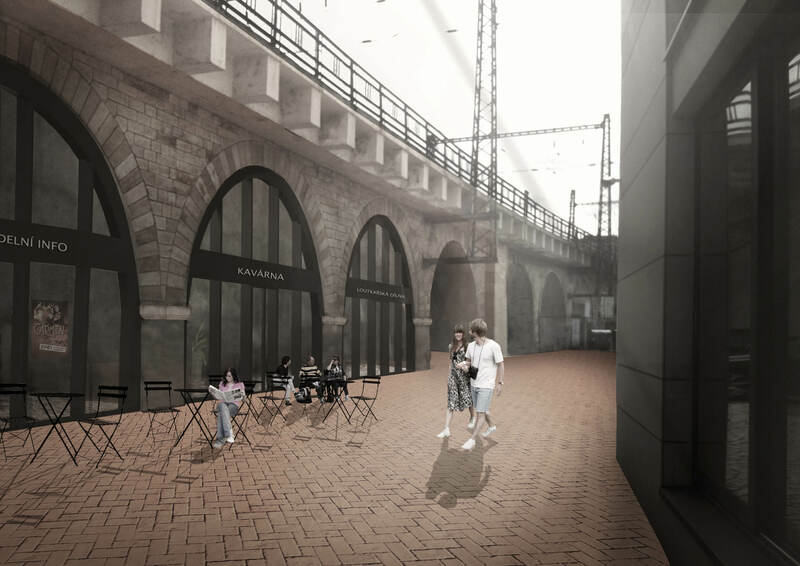 Its goal is to draw attention to the potential of the structure of the viaduct and test the possibilities of its inclusion in the city life. The Negrelli Viaduct is the second oldest bridge in Prague (after the Charles Bridge) and till 1920 also the longest bridge made of stone in Europe. It is unique in many other ways; however today situation is not a testament to its potential and history. 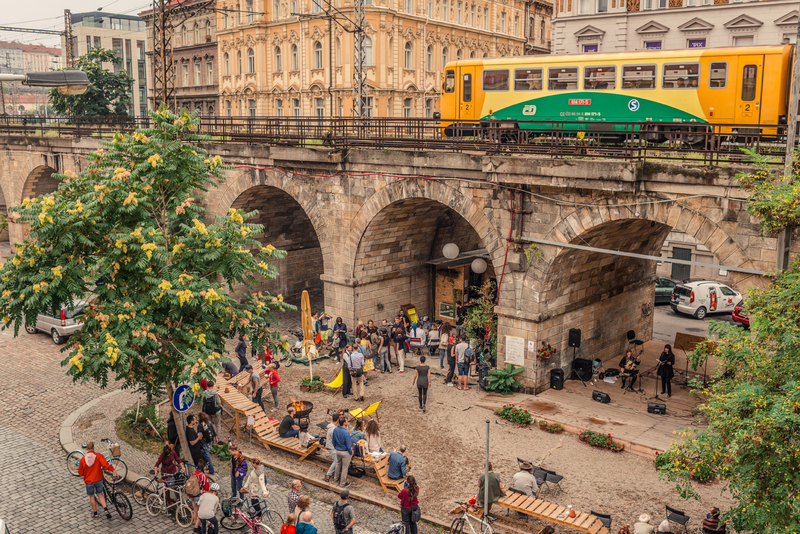 Looking at our neighbours, to examples of creative usage of viaducts in Berlin and Vienna, one can easily imagine how the transformation could happen in Prague. 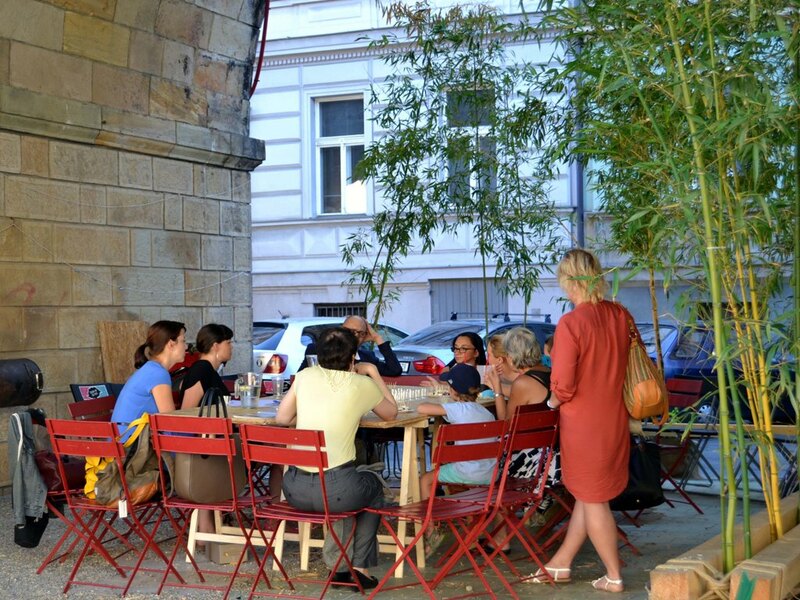 Following this vision and trying to avoid stereotypical gentrification of the locality, we have founded a civic association Viadukt. 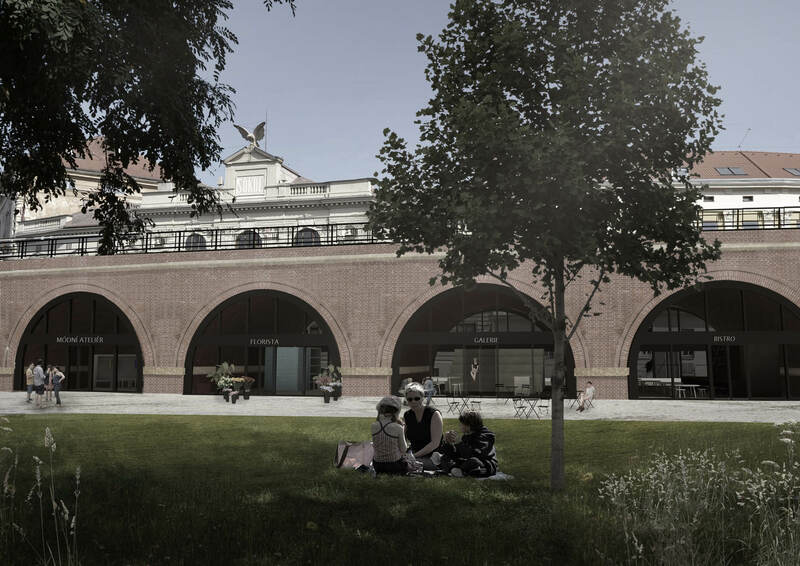 The most renowned European project for the transformation of a viaduct – le Viaduc Des Arts in Paris – as well as its concept and creative functioning, was presented by Didier Dely a Emmanuelle Hoss, general director and deputy director of Semaest, the managing company of the project. 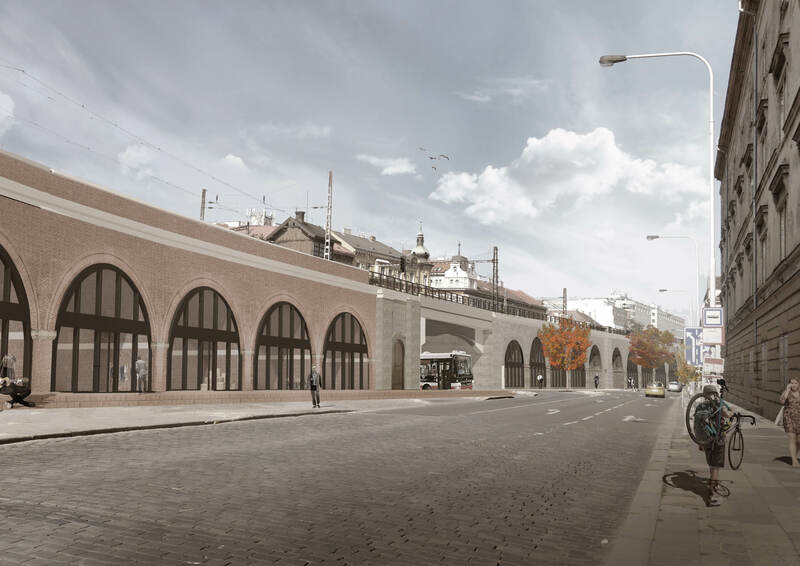 Presentations of other interesting examples for alternative transformations and managements of viaducts were held by architects Silja Tillner from Vienna and Gerry Schwyter from Zürich. Then, Yvette Vašourková and Igor Kovačević from CCEA MOBA introduced the architectural and urban study of the Negrelli Viaduct. 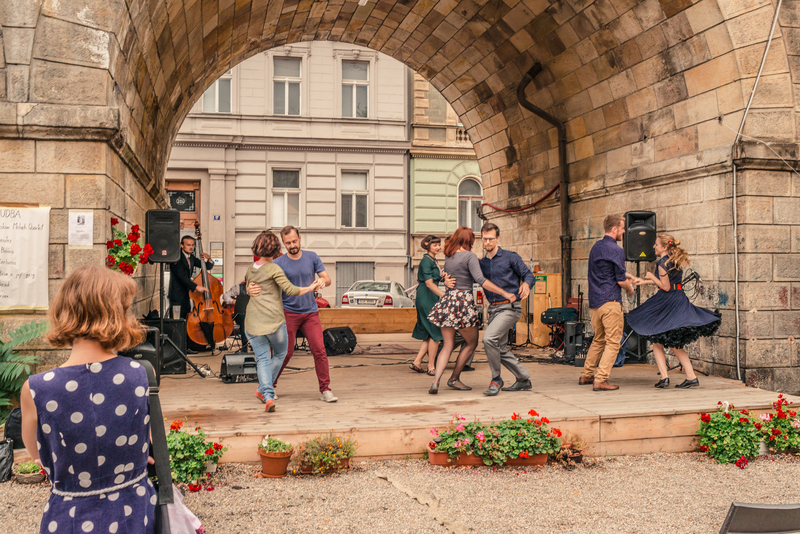 The event was supported by Adriana Krnáčová, the Mayor of Prague. 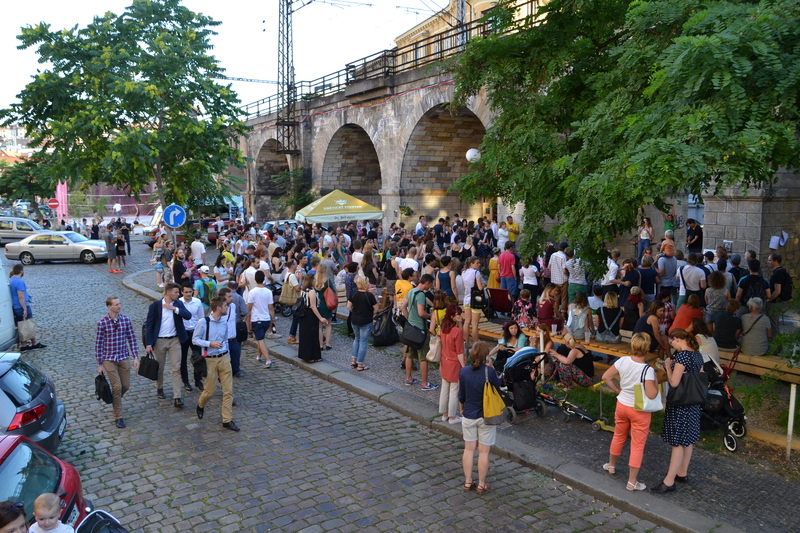 Léto pod viaduktem 2016 (Summer under the Viaduct 2016) changed a parking lot under the Negrelli Viaduct into a chill-out zone. 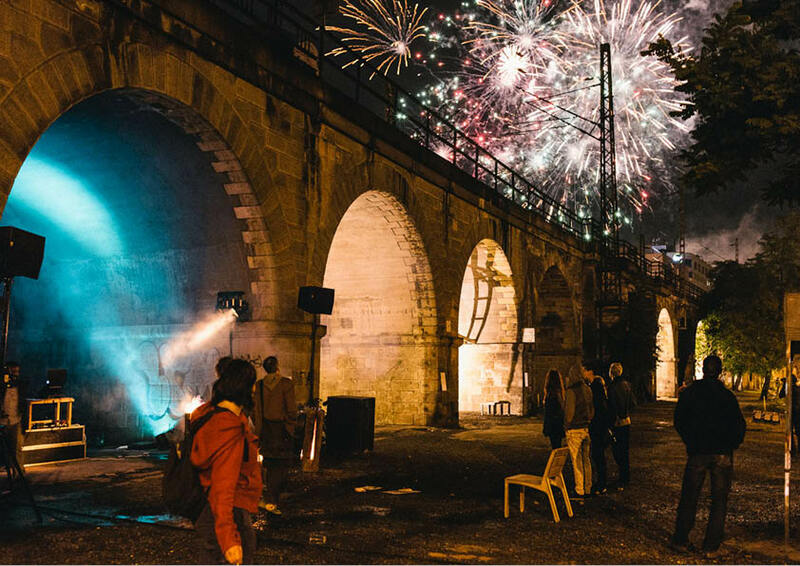 Together with you who came to spend their time under the arches of the viaduct, we tested its inclusion into a quality city life. There were many leisure time activities ready: beach volleyball, table tennis, trampoline for children, darts, outdoor fitness, etc. All the equipment was rent for free, as well as using the sports grounds was free of charge. Ladies from “Divoké matky” organization were there with their bistro serving drinks and snacks and managing the cultural programme. 16. 5. 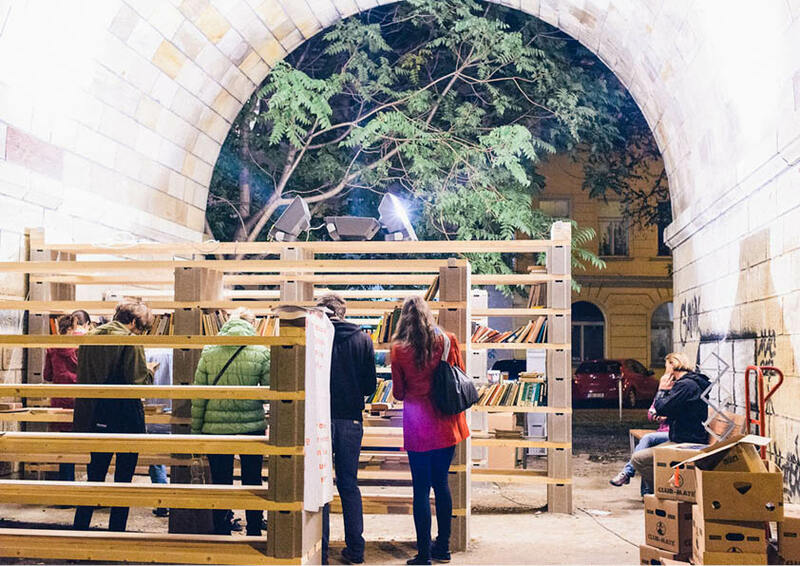 2015 / One arch of the viaduct served as a miniature pop-up exhibition space. Through postcards CCEA MOBA presented the past, present and possible future state of the viaduct. These postcards are also available this summer. 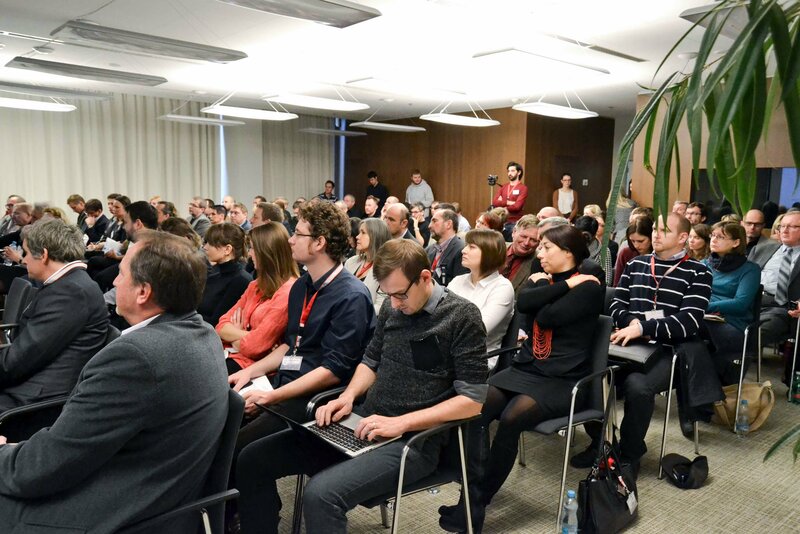 summer semester 2015 / CERGE-EI (Center for Economic Research and Graduate Education – Economics Institute) is a joint workplace of Charles University in Prague and the Economics Institute of the Czech Academy of Sciences. 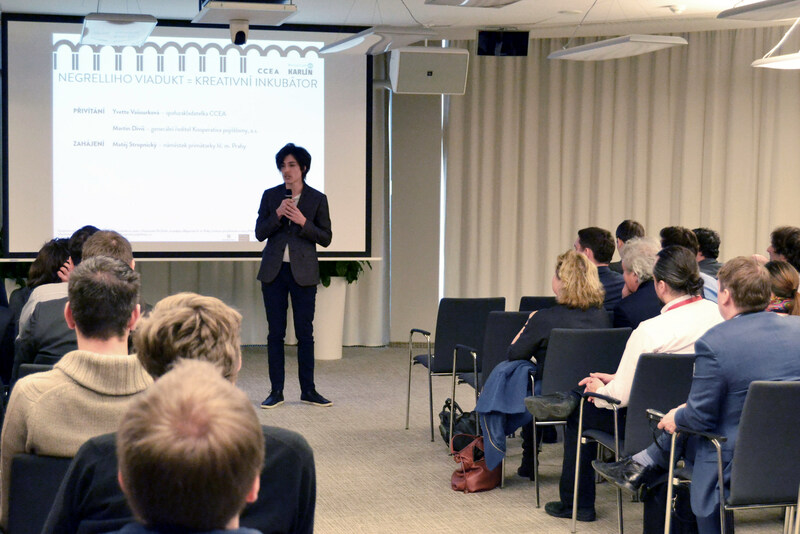 Its students devoted their short research to the topic of influence of creativity and alternative approaches on the economic value of the locality. 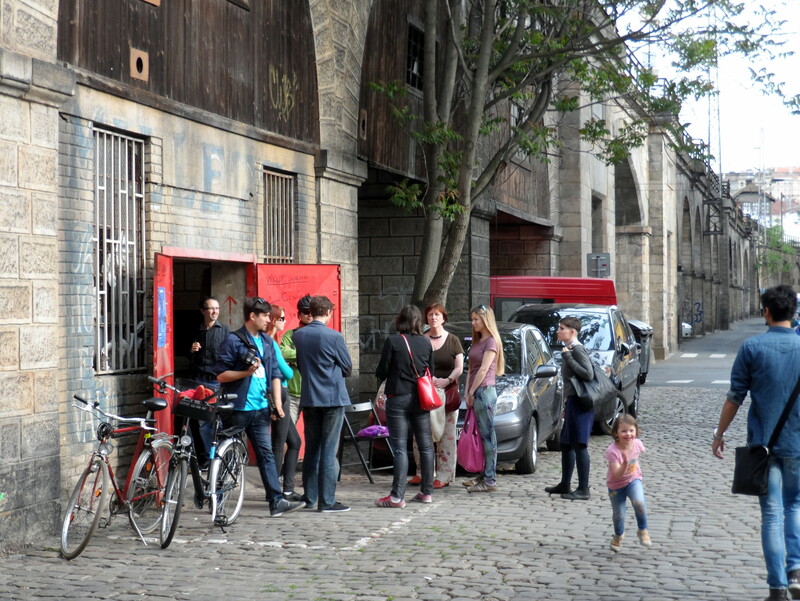 CERGE-EI now continues to develop the curriculum for studies of urban economy. 14. 1. 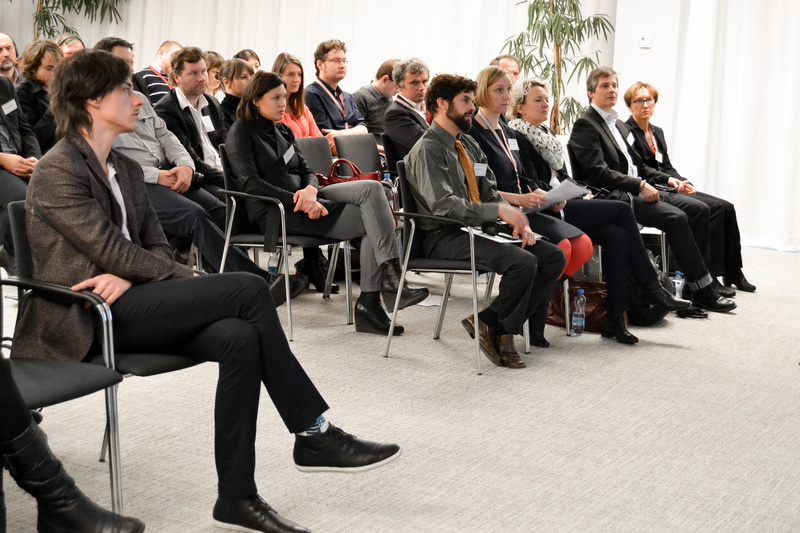 2015 / An interactive discussion with local inhabitants of Karlín was held by CCEA MOBA at Karlínské spektrum. 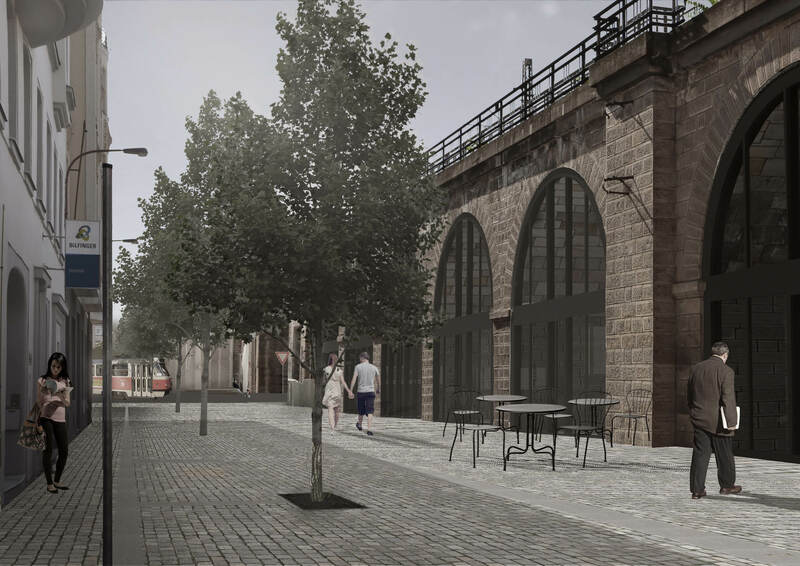 The neighbours of the viaduct discussed their ideas about the future of the locality around it. 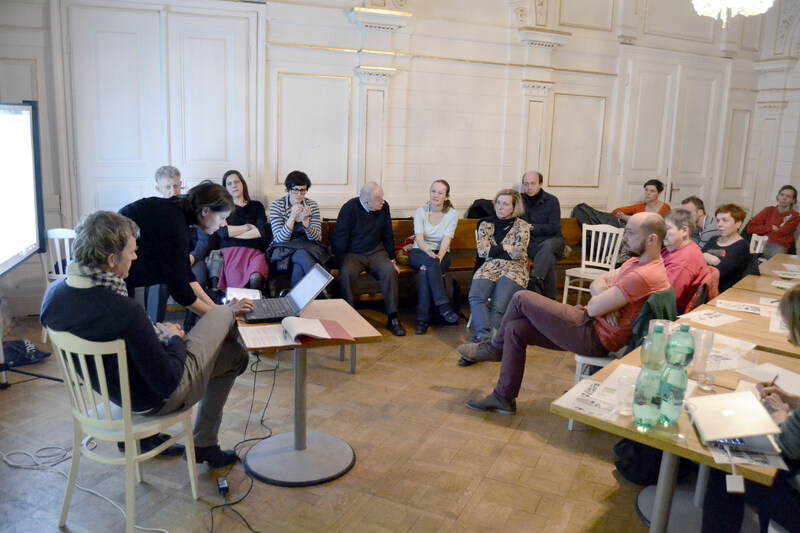 Also teachers and students of architecture from TU Berlin, who were working at that time on the topic of Prague’s viaduct, were present. Conclusions from this discussion as well as the student work were presented at the symposium to the representatives of Prague, Prague districts, property owners and officers. Winter semester 2014 / Group of twelve students was working on a research project Mutating Infrastructure that focused on the transformation of Negrelli Viaduct under the umbrella of CHORA City & Energy, Sustainable Planning and Urban Design Department of Architecture Faculty at TU Berlin. 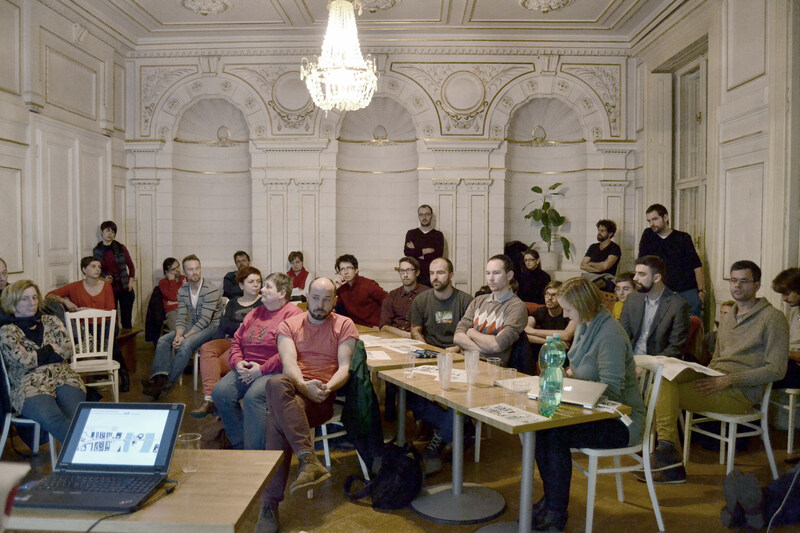 The students were at the workshop held in November at ARCHIP in Prague. 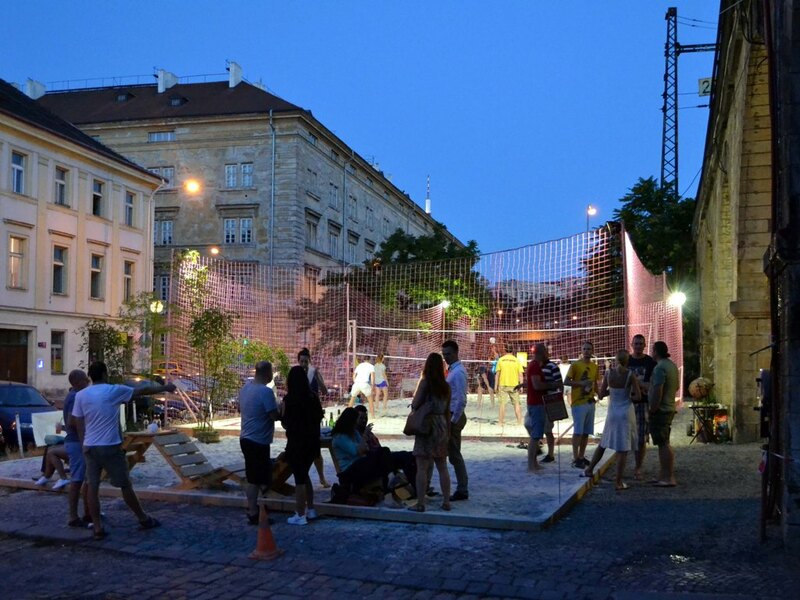 The final results of the research by design were presented in spring 2015 at the final student critiques in Berlin. Currently their publishing in the form of a book is being prepared. 19.–21. 9. 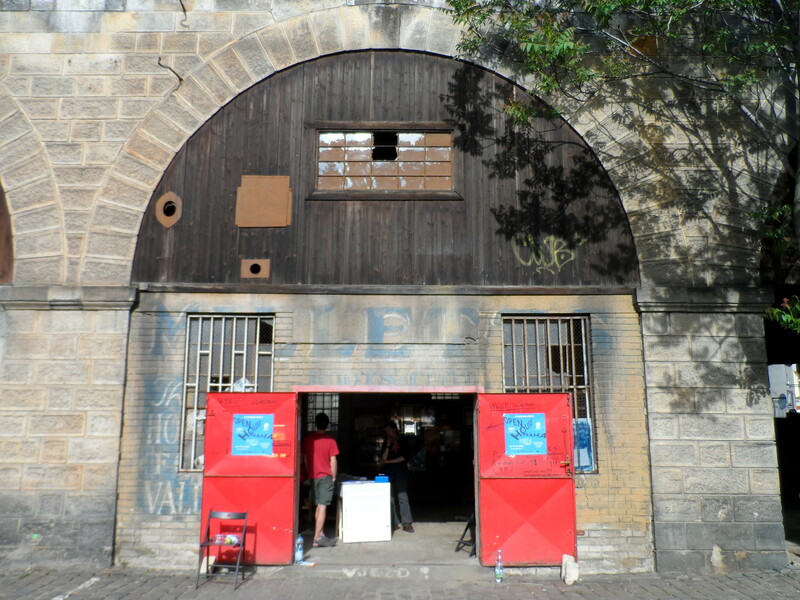 2013 / Three-day intervention organized by CCEA MOBA under the arches of the viaduct. 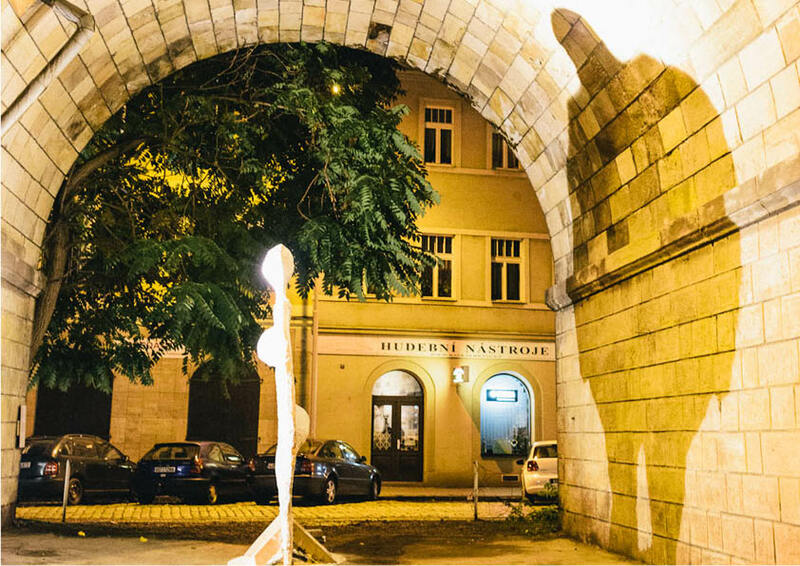 The spaces were offered to the curators of important Prague galleries: A. M. 180 Gallery, MeetFactory, Drdova Gallery, Ferdinand Baumann Gallery, Patricia Milano Gallery, Divus, FUTURA, NTK Gallery and Tranzitdisplay. Together with this in-situ art show there was a leisure time program and cultural activities. This was the first attempt to present the opportunity that is hidden in the Negrelli Viaduct. 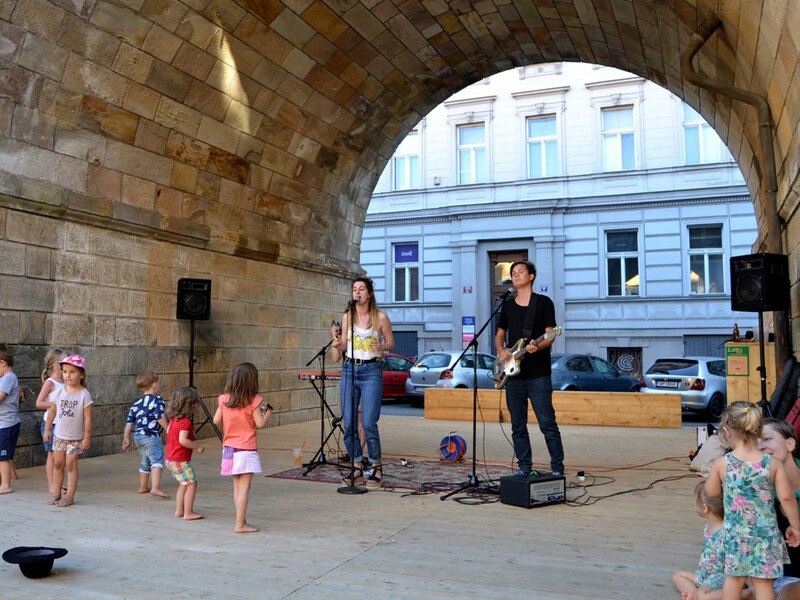 The project raised significant media attention and initiated a much needed exchange of the lands so that now the City of Prague owns all the land under the arches. 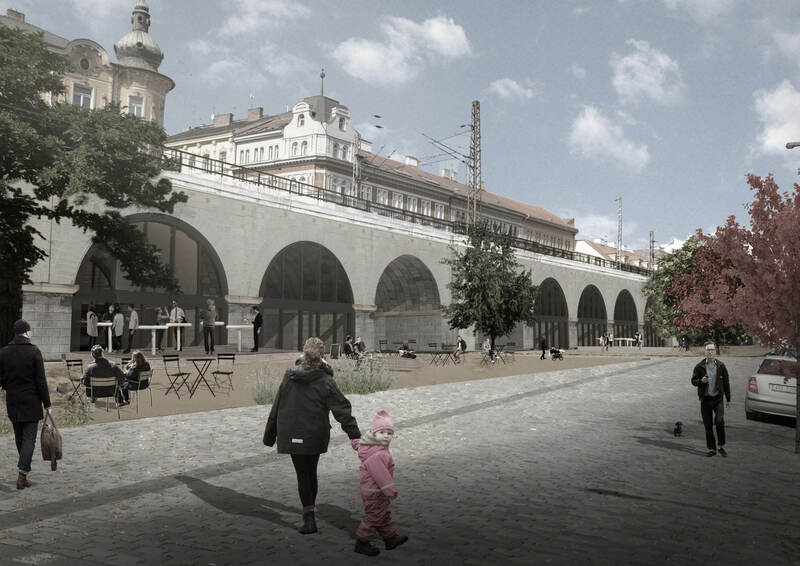 End of 2012/ Railway Infrastructure Administration (SŽDC), owner of the structure of viaduct, announced the plans for connection of the Masaryk railway station with the airport. Step one of this project turned out to be the reconstruction of the Negrelli Viaduct. At first there was no intention to make any other changes than technical and structural from the part of SŽDC. We are now very glad that through the course of time a good communication and cooperation has been established, the ownership of the land was settled and together we have opened a public discussion on this topic.